I never gave too much thought to the things that I pack in my bag when I travel. Instead, the items that fill my ever exploding handbag are the result of cumulative learnings and experiences. But friends keep asking the eternal question: What are you taking with you? 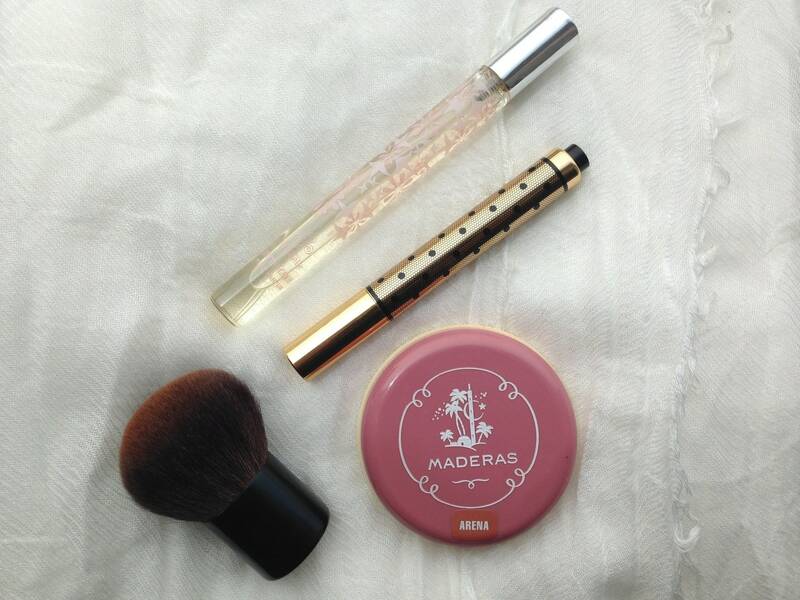 The reality is that I carry all the below items in my handbag whether I am in Singapore or on the road. It is true, they make my bag heavier, but I am traveling so much that if I had to constantly take in and put back items I would eventually lose or forget the key ones. A word of caution. The type of travel that you do and the places that you go should have a significant impact on what you pack so, whereas these are all items I use regularly, they may not be essential for every trip. Who would this list be a 100% match for? If you travel mostly to warm places, tropical even, and travel a lot for work, not just for vacation, and more often than not, by plane and other comfortable means, then you are most likely going to find this useful. 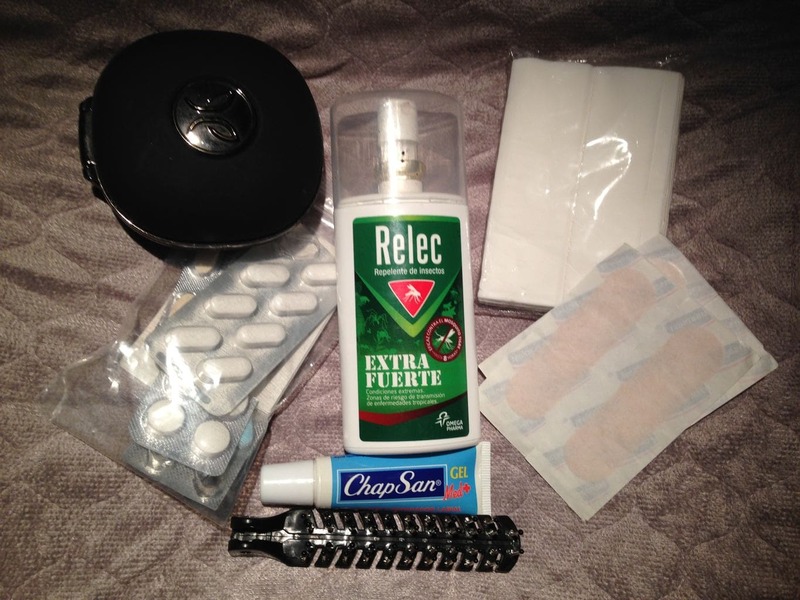 If you are flying business class regularly, a lot of these items will be included in the in-flight amenity bags. 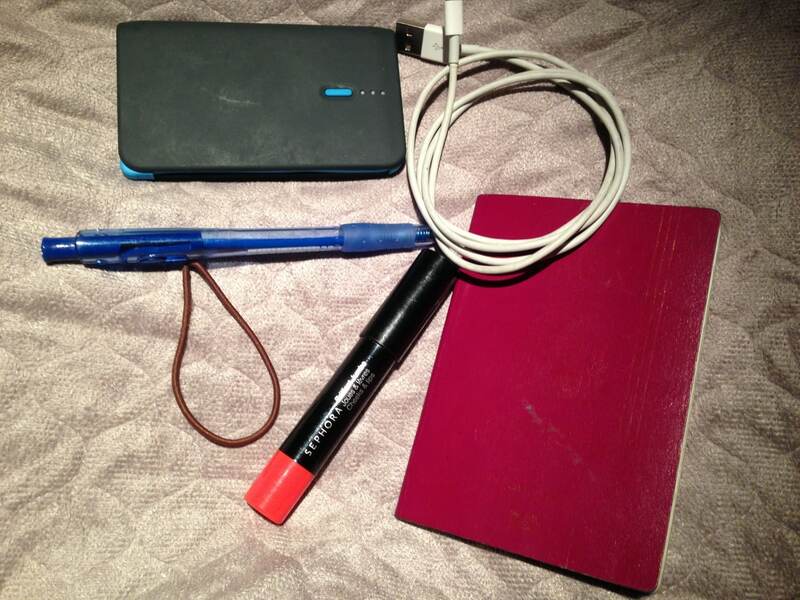 Here is the list of things that you will always find in my handbag when I travel. I am so addicted to lip balm that I literally panic if I don’t have it. It is the one thing I will look for desperately anywhere if I forgot to pack it. Lip balm is essential for long flights when the air is extra dry, and also if you plan to spend time under the sun, the wind or if you are in harsh environments like the desert. I can never leave the house without. The one I have been using for years and I specifically shop for when I go back home is Chap Sun, but many others will do in its absence. For a quick pick me up, I also carry a light color stick from Sephora that gives a soft color for a quick dash of pretty, a corrector from YSL and a blush. Basic items to look as good as new in a few minutes. Although I mostly travel with a proper SLR camera the iPhone continues to be a great complement for the quick to get shots and I don’t want to mis the opportunity because my phone ran out of battery. As everyone knows, iPhone batteries don’t last for a day so an external charger has become a staple in my handbag. This may seem obvious but not everyone carries their passport everywhere, I do. My passport is permanently in my bag. This is because I travel a lot, usually once a week or every two weeks so I know that I will never forget the passport at home because it is in my handbag. This may well be an inheritance from my time as an ultra-frequent traveler when I was on the road all the time but I have found that I got used to finding it there and it’s an easy way for me to make sure I never forget it at home. Much like the wet wipes but with the added benefit of being useful for many other endeavors, tissues are possibly one of the most versatile things to pack. You can use it in case of a cold, to dry your hands, to clan stuff or to write on it or for the obvious uses when you are traveling for extended periods in places without proper bathrooms. For the ever so common visa and immigration form-filling that is such pain across the world. Pens are always useful and are a small item to pack. i would discourage anyone from packing the liquid baldness because they always explode in the high-altitude and you will end up with ink everywhere, and it is very hard to wash off. Pack a good old basic pen for this. Obviously not so useful for men, but a must for women. So many times have I found myself in a really hot place craving the chance of putting my hair away. It is also useful if you find yourself in a car with eh windows open or in a boat. Perhaps not the issue for everyone but, in my case, my fine hair gets incredibly tangled in the wind so a hair band is always useful. Remember the wind? a travel hair brush, like the ones that come in the in-fligth amenity kits, is extremely useful for a quick pick-me-up moment to make yourself look decent and to brush you hair when you land after a long-haul overnight flight. I have occasional migraines and the last thing I need is to spend five hours in absolute and paralyzing pain. A headache can ruin a trip and, particularly ibuprofen, cannot be bought over the counter in many countries, like in Singapore, so I pack a few tablets. Panadol night is a great alternative to stronger and more dangerous sleeping pills. I discovered it when I was living in the Middle East and have not been able to find it elsewhere but it is designed for tooth pain and it has a small percentage of muscle relaxant that helps you sleep. A tablet is enough to fall asleep and have a nice rest for 3-5h so it’s perfect for long haul trips or jet lag where something stronger will leave you drowsy for hours. Food poisoning and other typical sicknesses can ruin a trip and, often times, it is not the food poisoning itself but the lack of proper hydration so pack diarrhoea and vomit tablets as well as re-hydrating solutions (eg. charcoal based). In my case this is just a good old small set of earplugs but, if you can and have the space, carry a noise canceling alternative which may be a live saver if you fly economy and get stuck in between loud adults or wailing children. My top pick? The noise canceling headphones from Bose. I get blisters with every pair of shoes, old or new. For this reason, I always carry a couple of plasters in my bag. Contrary to what you may be thinking this is not a vanity item. I do not carry it to smell nice, though it obviously doubles as a great way to freshen up before landing. Perfume is one of the biggest learnings from too many awful flights and it will become handy if the passenger next to you vomits or if there is someone who is constantly letting air out. Yep, that happens. You can read about my Three flights from Hell here and know what motivated this in the first place. When I used to travel every week there was something that I would never forget – a real book. I was never a fan of e-readers, I am an old fashioned person who likes the touch of real books. Plus, the whole point of having a book with me was to be able to read during take off and landing when all electronics are to be switched off. When I was flying business class I forwent the book in favor of the airline’s magazines available for reading and The Economist, which I would always request as soon as I boarded the flight and take with me for the rest of the week. It is a light and foldable alternative to books which may be heavy to carry around and a great choice of reading for all those dead moments in planes, queues and waiting lounges. Nowadays, airlines are increasingly allowing you to switch on the entertainment systems even during take-off but the constant announcements of some airlines are so annoying I prefer to read and not be interrupted every two minutes. Emirates is notoriously bad at this with over 30min of repetitive announcements per flight. Here’s my list of the longest airline announcements. Even though I prefer the real thing, a Kindle is a great alternative as it is not harsh on the eyes and you can fit thousands of books on a single device. Never pack the camera in your check-in bag and always have it with you. The same applies to the charger for laptop, phone, etc. If you lost it or your luggage was delayed you would be in trouble so have it with you. Plus you can always snap that awesome sunset shot above the clouds. If I am flying economy and overnight I always pack a few extra things to make the trip more comfortable. This includes a head pillow, toothbrush and toothpaste, eye mask and earplugs. These can make the difference between a good night rest or no rest at all and they are light to carry. I am always, with no exception, absolutely freezing in every plane so having a jacket or coverall to put on is essential. I almost always have a scarf with me too. Although many airlines still give blankets, low-cost airlines don’t, and some of them are so thin and the AC is so high that you still need a jacket. Consider the scarf a great way to block the light in red-eye flights. Obviously, my wallet is with me. But I usually carry a separate small zip bag for the local currency of the place I am traveling to. This way I don’t have to carry the entire wallet, which is my case is permanently overflowing, and can just take the local currency and some credit cards when I am touring. This reduces the risk of loss in case of theft and also makes my bag, on location, lighter. I also have all the small packets of local currency at home ready to go. Since I travel so much I have currency for pretty much every Southeast Asian country at home. Vietnamese Dong, Filipino Peso, Malaysian Ringgit, Thai Baht, Myanmar Qyat, Chinese Renminbi, Australian dollar, and the internationally accepted, always useful currencies, USD and Euro. My mobile phone is another obvious item and, it is not only a necessity these days, but also a great in-flight entertainment tool. I can check the time, since I don’t wear a watch; I can take photos, the sky and clouds always fascinated me; I can play Monopoly on the app, that’s right, pretty useful for long flights with no in-flight entertainment; I can play movies, ditto; and I can listen to music. Make sure it is fully charged and carry the extra battery and the charger in case the seat has an outlet. Most regular carriers have them these days. 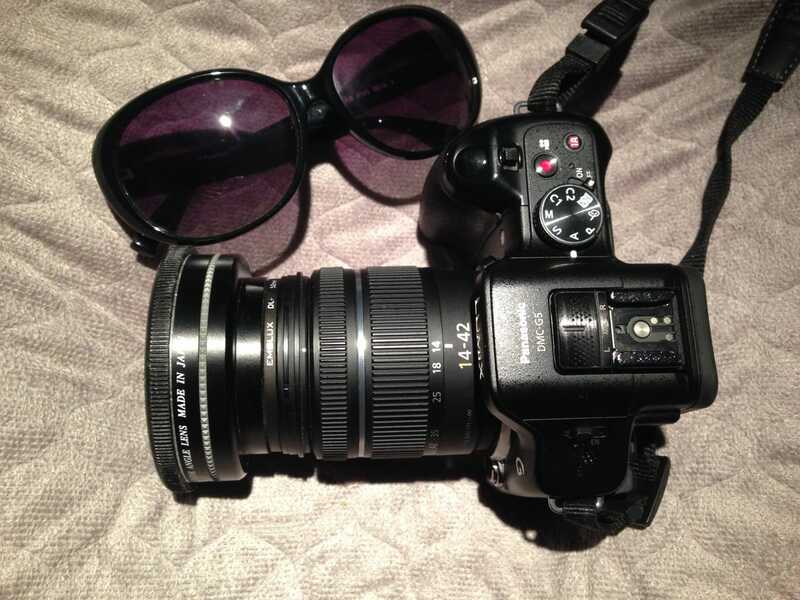 Lastly, the most important item when I am traveling are my sunglasses. They are polarized, for strong sun rays, and cheap, because I constantly misplace or lose them. Getting polarized glasses is essential if you are going on a beach trip because the sun all day in your eyes can give you a headache or, worse, give you a permanent frown! Over to you, what do you carry in your bad that I did not mention above?